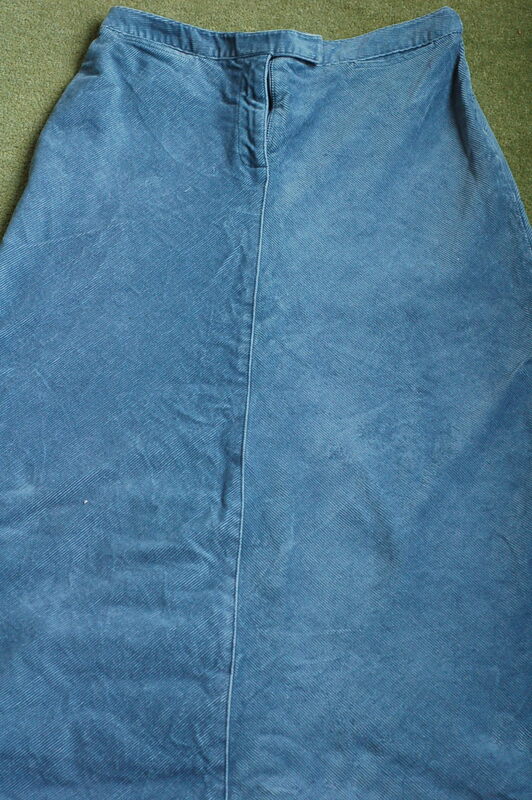 She chose from a selection of fabrics – former clothes of course:). 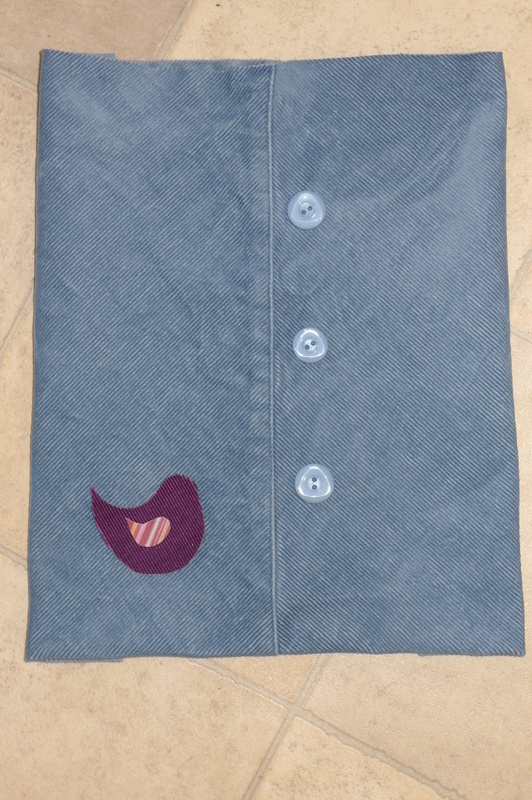 We spent a brief time trying to squeeze a cross body strap from the two sleeves of a red jacket, but it was not to be..
Rather handily I found, in my stash of fabric, a thin cord rainbow blouse gained from a clothes swap some months ago, perfect for the applique bird design. 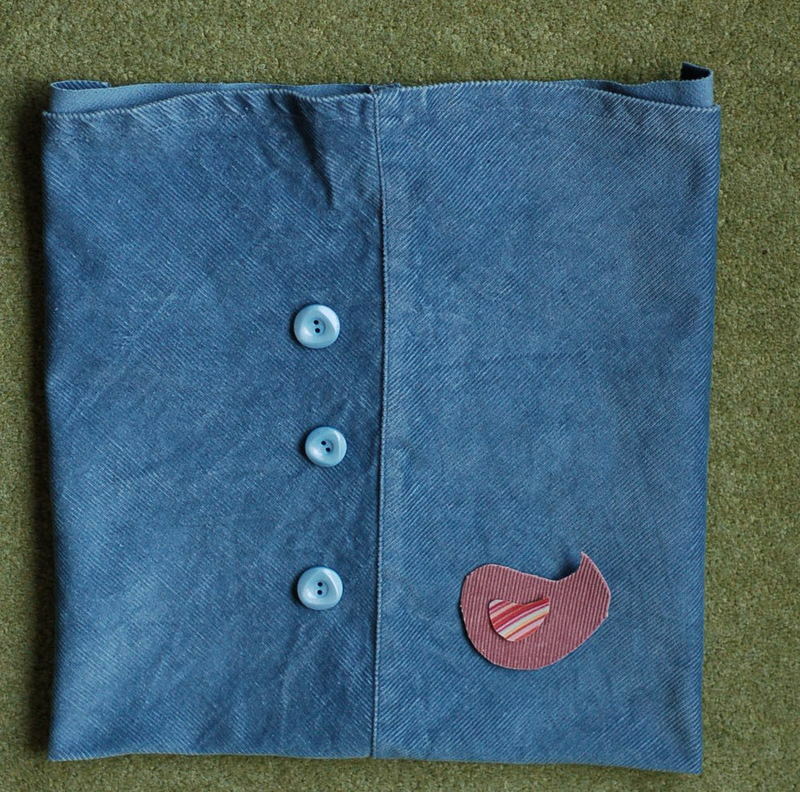 We’ve been on hols this week so I was delighted to finish the bag just before we left, for our spring week in a caravan.. I think the bag was more spring like than the weather!!! What a lovely post. 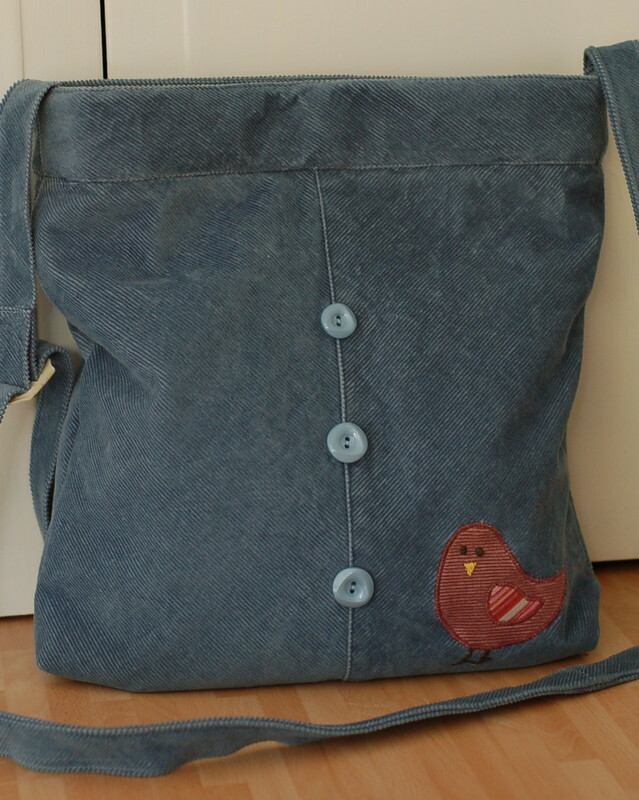 So great to hear about how the bag came about and that the customer was so happy with it. 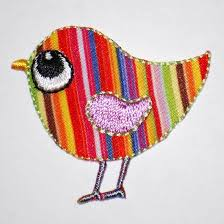 I love the little bird, so cheerful. It’s no surprise the customer was happy with her bag, it’s wonderful! Thank you:) as always would make it slightly different next time!! 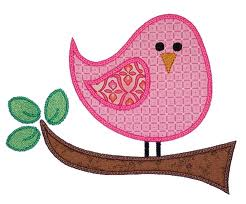 That worked out really well and the little bird is a perfect finish for it. What a nice commission. FANTASTIC Vicky!!! What a wonderful idea…Becky is a lucky mummy and her feedback just says it all!! !